Jacob Haish produced several of the following canes, probably as promotional items. However, it is not known for sure how they were distributed. 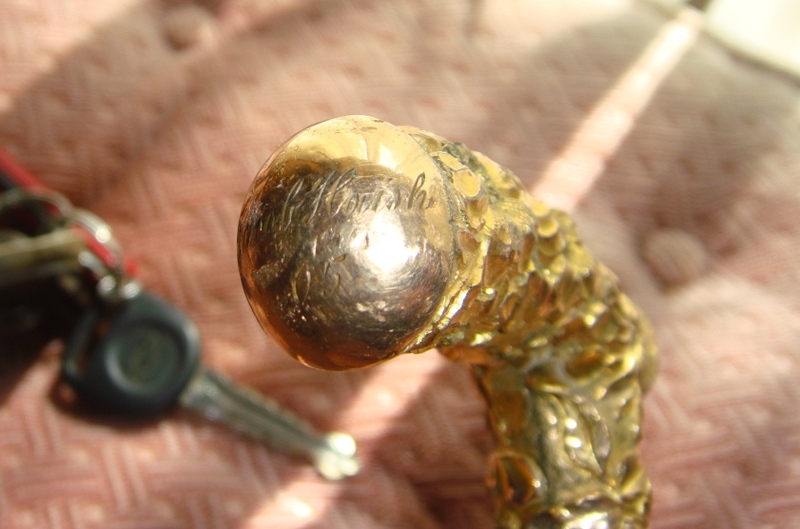 It is possible that Haish gave a special cane to people who placed large orders of his barbed wire. However, you will see some variations which name a particular sales agent such as J.D. Seeberger with cane #5. Some variations acknowledge other people's wire variations, which Haish must have been involved with like cane #6 with Sidney Steven's "X" four point barb. Haish probably owned a stake in or had some business arrangement with Mr. Stevens' wire patent. 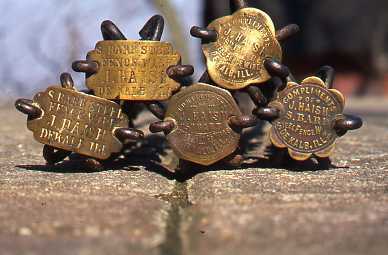 Some reproductions of Haish's canes have been produced by various barb wire collector organizations as fund raisers, such as Colorado Barb Wire Collectors Association example #9 and the now disbanded Land of Lincoln Barb Wire Collectors Association example #10. These reproductions are a testament to how popular, even in recent years, this clever idea was. 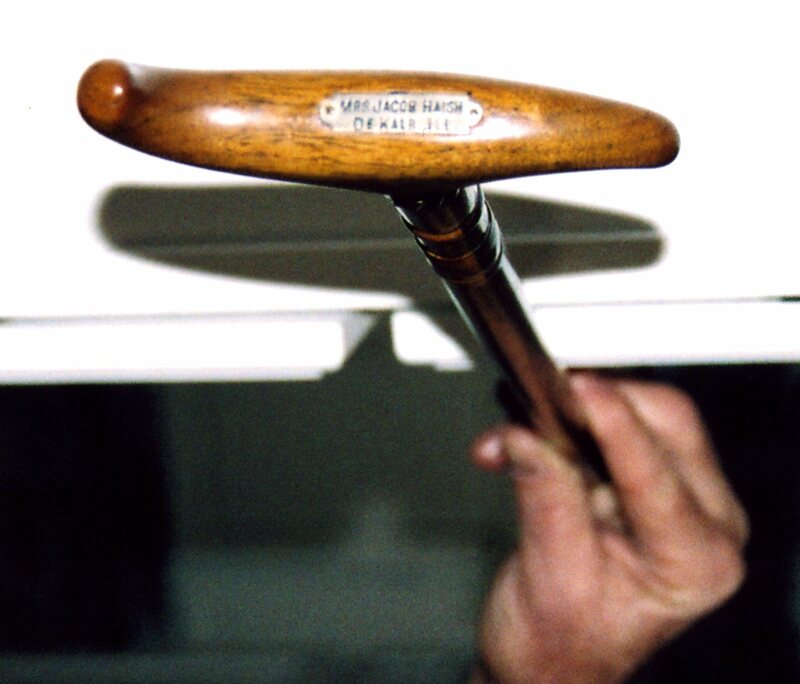 Jacob Haish and his wife had their own personal canes like Sophia's cane shown below as #8. Additionally, Haish had a special personal gold handled cane, which contained precious gems inlaid into the floral design -(See #7 below). Some confusion has arisen with special canes that were distributed by Jacob Haish for the ceremonial opening of Northern Illinois State Normal School (now known as N.I.U.) on Monday, September 11, 1899. According to college sources, Haish had special canes made from Osage Orange wood and placed on top, a miniature picture of the college which was framed in gold. These canes were presented on opening day as special gifts to individuals deemed key in founding the new school. Below you will find photos showing miscellaneous variations known to exist. There are several know medallion variations. Additionally, several "S Barb" variations are known including: original, improved, long, wrapped and barbless. 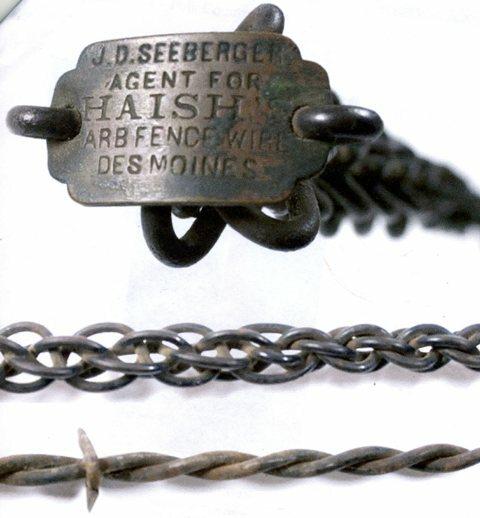 Lastly, Haish developed a enameled treatment for barbed wire and including this first example below. It is a very heavy glossy black paint finish. 6.) 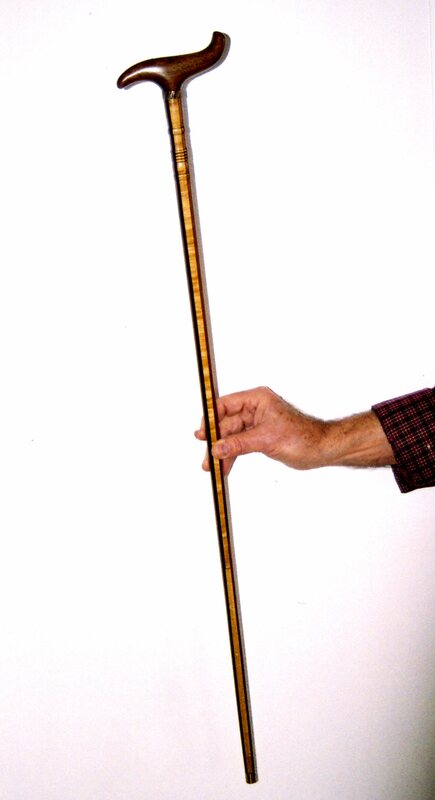 This cane example has Sidney M. Stevens barbed wire patent with a traditional Haish "S Barb" medallion on the top. Sidney Stevens of DeKalb, Illinois patented his "X" four point wire on December 16, 1879 with patent #222,747. In one of Jacob Haish's very early advertisments he was marketing a barbed wire brand called "Stevens' Lock Stitch". It is not known to date what exact business arrangement Mr. Stevens had with Jacob Haish, but some relation must have occured. 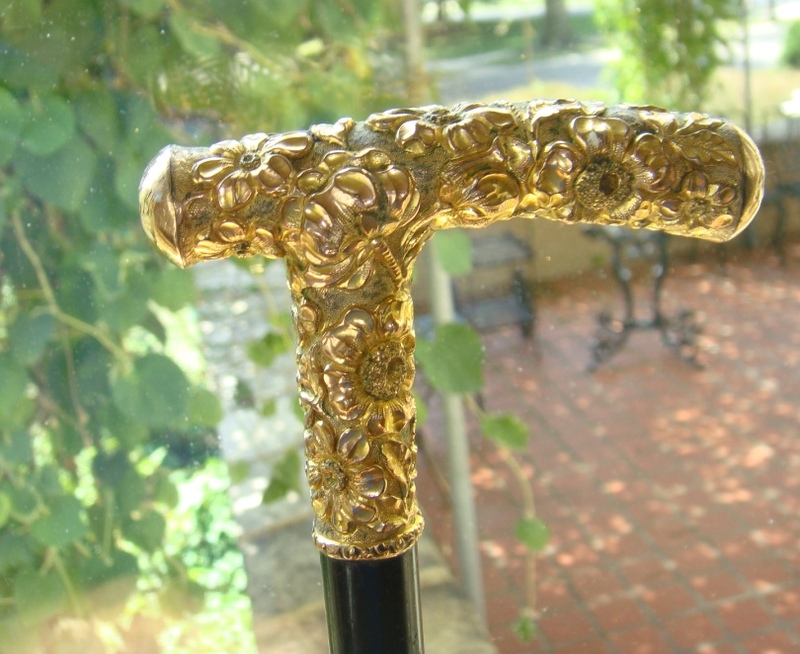 Jacob's personal cane with gold handle in a flower design. The centers of each flower originally had colorful precious gems inlaid.